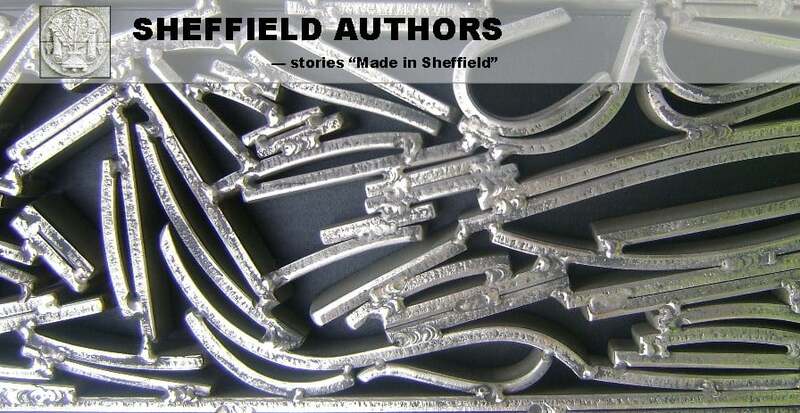 I recently attended a launch evening given by Sheffield Authors, a new collaborative website set up to support and celebrate the writing talent in the city. Several of the authors have self-published their books – something which no longer holds the same taboo as it once did. After the event, I interviewed three of the members of the new website, to talk about their books, their reasons for going it alone in the publishing industry and to find out what makes the city of Sheffield such a great city to write in and about. Steven Kay is the author of The Evergreen in Red and White, a historical novel set in Sheffield in 1897, featuring Rabbi Howell, a Romany traveller, who played for one season for Sheffield United. Steven says he read about Rabbi in a Sheffield United centenary book and became captivated by finding out why he was sacked from the team two weeks before they won the title. The re-telling of Rabbi’s story clearly became a labour of love for Steven, so I asked him, why he didn’t go down the established route of publication with the book. This is a common comment from writers as large publishing houses are looking to make money, and something they consider to be a niche novel may get turned down for this reason. Steven feels there is a bigger problem at play here, though, claiming northern writers are often pigeon-holed. 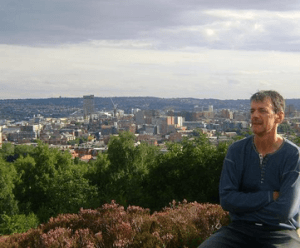 This led to the idea of the development of a website to showcase Sheffield writing talent. As Steven pointed out, ‘Sheffield folk are not naturals when it comes to blowing their own trumpet, but if we come together, perhaps we can overcome that natural reticence’. ‘Sheffield is in my blood and heart; Sheffield features strongly in The Evergreen, and I would go so far as to say, it is a character in the book’. Another Sheffield author who decided to go the self-publishing route is Anne Grange, author of Outside Inside. This book is a story of love and betrayal, set to a backdrop of music festivals, and explores the life and relationships of two people living on the fringes of society. It has been compared favourably by reviewers to the work of John Steinbeck and Stella Gibbons. Anne told me she began to look into self-publishing, as Kindle was ‘really taking off’ in 2011. She felt it was an exciting way to get the book ‘out there’, and pursued this aim. She has no issues about self-publication, claiming she is ‘inspired by independent bands who own their own recording studio and label’, and sees no reason why authors shouldn’t work in a similar way. Unlike Steven’s novel, which is very much a product of the city, Anne claims she hasn’t yet written her ‘big Sheffield novel’. 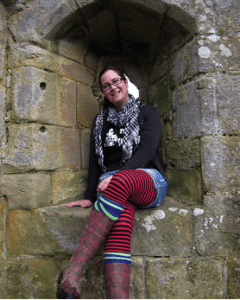 She does however find it to be a really creative city, and says she loves walking around the surrounding countryside, ‘mulling over ideas for her novels’. Like Steven, Joel chose to write a historical novel – this time set during WW1. Joel’s story opens in the coastal fishing town of Whitby in 1913, and features three friends living an idyllic childhood. It isn’t long, however, until the war intrudes on this, and in December 1914, when Whitby gets bombed by Germany, the three friends join the horror of war. 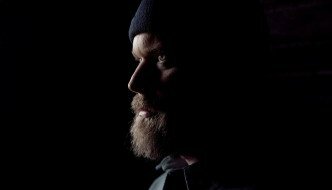 I asked Joel what interested him about this subject and what led him to writing a novel about it. ‘I was talking to the editor of a magazine I write for and he mentioned that there aren’t many books based during WW1. That was enough to send me down what turned out to be a bottomless rabbit-hole. When I came across the story of German warships bombing the coast of Yorkshire, my characters really introduced themselves to me,’ he says. Much research followed, including Joel travelling to the battlefields of France and Belgium. It is this attention to detailed research which lends the book its vivid portrayal of the reality of war. When it came to publishing the book, Joel used his skills from his current job within the music promotion industry to self-publish. ‘There was a more appealing challenge in trying to build a fan base as an independent author, rather than sending out a manuscript and just hoping,’ he says. Joel took a slightly different route to the other authors, in that he worked with a Sheffield-based crowdfunding site (www.rocketfuelhq.com) to fund the project. He suggests there are certain pros and cons with this approach, but, on the whole, he is happy with his decision to do it this way. At the end of my interviews, I asked the three authors for their one piece of writing advice for anyone aspiring to write their own novel – self-published or otherwise. With the enthusiasm emanating from these three writers, I’m looking forward to more Sheffield Authors’ events taking place around the city soon.